Our Web Hosting Packages starts from R39 per month and has numerous install scripts at your disposal. All our web hosting services run on SSD based services ensuring the maximum performance for your website. We support the major Control Panels including Virtualmin, cPanel and Plesk. Our knowledgebase includes a number of topics that pertain to making your hosting as experience as smooth as possible. We have immense experience in providing technical support, website issue resolution, email setup, and much much more! 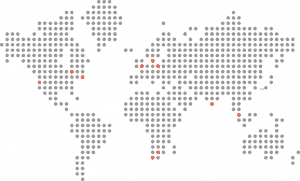 We have servers located in 10 data centres across the world and are experts at website hosting. Deploy any number of popular CMS or ecommerce scripts for your web hosting, for example WordPress, Drupal, Joomla, and Magento. Managed with security in mind and the best backup strategy. Our website hosting packages have details statistics that allows you to view how well your website is performing. VPS, hosting & domains is our speciality. We provide super fast SSD hosting services to entrepreneurs and business.